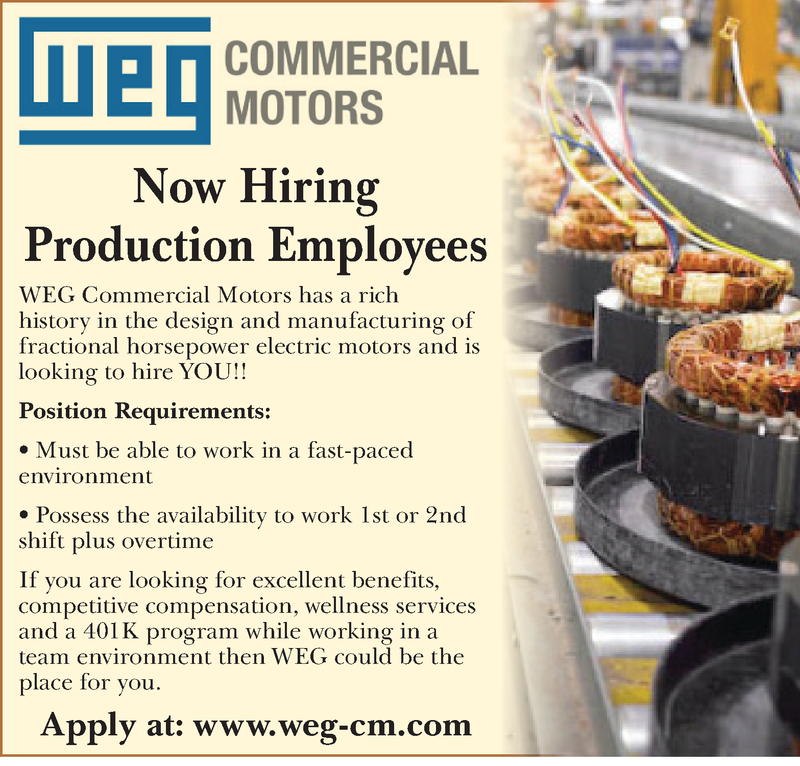 WEG Commercial Motors has a rich history in the design and manufacturing of fractional horsepower electric motors and is looking to hire you!! If you are looking for excellent benefits, competitive compensation, wellness services and a 401K program while working in a team environment then WEG could be the place for you! Click Apply and visit our website today!